Pittsburgh wants an airport microgrid. And developers — a lot of them — want to build it. The Allegheny County Airport Authority has received 64 responses to its request for expressions of interest seeking a developer to design, build, own and operate a microgrid at the Pittsburgh International Airport. 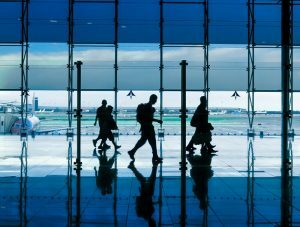 The authority is considering making use of a microgrid to serve not only the airport, but also the growing roster of businesses that have established operations there. The authority also hopes to support Pittsburgh’s economy and western Pennsylvania’s shale gas industry, in particular, explained Bob Kerlik, vice president of media relations. Air transport, along with water, power, information-communications and waste disposal, is considered an essential public service, and a critical one in times of emergency. That was made all too clear recently when grid power was lost for 11 hours at the Hartsfield-Jackson Atlanta International Airport due to a fire. “We want to improve [energy] resilience so that the airport and tenants can continue operating in the event of a power outage,” Kerlik said. 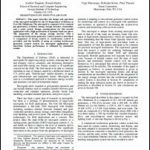 Developing an airport microgrid makes good sense in several respects, Kerlik told Microgrid Knowledge. Lowering energy costs and enhancing the resiliency of energy service looms large in the airport authority’s project development planning. The loss of grid power for 11 hours at Atlanta’s airport in December was on the mind of CEO Christina Cassotis when she announced that the authority was evaluating the feasibility of making use of a third-party-owned microgrid located on airport property. “If you remember what happened in Atlanta when they lost power, we wouldn’t have that problem,” Cassotis was quoted in a local news report. 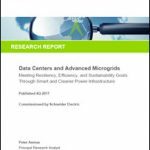 Microgrid project development plans are at a very early stage, but the authority has already received 64 responses to its request for expressions of interest. Fifty of the 64 that have expressed interest have taken the next step and already submitted proof of their qualifications. The deadline to complete this first phase is March 30. “We’re working to complete the project development plan in full,” Kerlik explained. A short list of candidates will be selected in August and the authority will work closely with remaining candidates to design and engineer a microgrid that meets or exceeds anticipated needs. 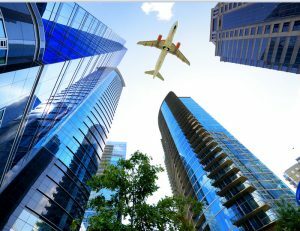 “We don’t necessarily envision a microgrid that will meet 100 percent of the energy needed by the entire airport and all out tenants, but one that will generate and distribute a substantial amount of power, either from the microgrid and/or the utility grid,” Kerlik said in an interview. At present, the authority envisions a microgrid centered on natural gas-fueled generation. It is also looking to add solar PV into the mix. “We have identified an area that’s suitable for development of a solar energy farm,” Kerlik noted. Significantly, the authority hopes to incur no development cost. “We’re looking for a privately owned firm to own it, build the infrastructure and earn a return on their investment by selling electricity back to the airport and the authority,” Kerlik said. Boosting Pittsburgh and the western Pennsylvania economy plays a large role in the Allegheny County Airport Authority’s microgrid project evaluation initiative. “We certainly want to lower energy costs, not only for the airport, but for our business tenants. “We have a lot of tenants, but we also have a lot of undeveloped acreage. We see this [development of an on-site microgrid] as an incentive for businesses to develop here at the airport,” Kerlik said. Supporting western Pennsylvania’s shale gas industry is a focal point. “The natural gas industry supports a lot of jobs here in western Pennsylvania. Also, Allegheny County/Pittsburgh International is one of only three major airports in the US where natural gas drilling is taking place,” Kerlik added. The airport microgrid also fits in with the city’s intent to lead on microgrid innovation. Pittsburgh officials have developed plans for an eventual grid-of-microgrids in the downtown area as part of a larger smart city plan. Further information about the airport RFQ is available on the authority’s website. Track news about airport microgrid projects by subscribing to the free Microgrid Knowledge newsletter.